You may have heard about a revolutionary hair repair treatment called Olaplex that’s quickly gaining attention and popularity, but what exactly is it? And more importantly, how does it work? 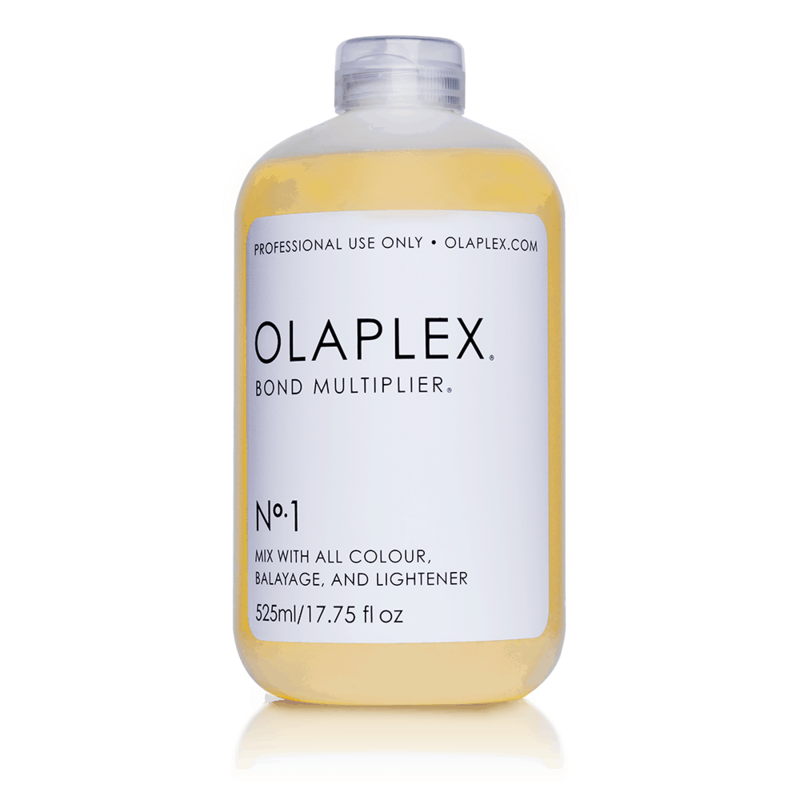 Olaplex is a bond-multiplying treatment, meaning it reconnects broken Disulfide Sulfur bonds in the hair, limiting damage during and after hair colouring. Hair naturally contains proteins called Keratins. Keratin proteins have the amino acid Cysteine, which contains a Sulfur atom. Normally, two Sulfur atoms join together to form a Disulfide bond (S-S), linking two Keratin proteins together. This helps give your hair its overall body and strength. However, when hair undergoes chemical services like perms and straightening treatments, these bonds are broken and then reformed after the hair is takes on its new shape. Other factors can also damage these bonds such as repeated exposure to heat or sunlight, styling and coloring treatments. Over time, this can lead to damaged, weakened hair. Olaplex works to correct this when the two ends of the active ingredient, Bis-Aminopropyl Diglycol Dimaleate, quickly forms a bond between the Sulfurs, making an artificial, extended Disulfide bridge. This new Disulfide link between the two Sulfurs makes the hair stronger. And because the reaction happens quickly (unlike with perming and hair straightening), the amount of hair damage during colouring is greatly reduced. Ask your stylist about adding Olaplex to your next colour service in our Exeter Hairdressers!